What a weekend! Saturday the temps were in the 90's...Monday it barely broke 60 degrees. I swear I almost turned on the furnace. I know, I'm a wimp. We had one heck of a storm roll through Saturday. Our electricity was going on and off. I kept Annie unplugged. I wasn't taking any chances!! I recently had the pleasure of quilting for Cathy of Quilting on Main Street blog. If you are not familiar, Cathy has a wonderful blog. She is always busy with some beautiful projects. Recently, she made a Christmas wreath out of wool pennies that I absolutely love. I very much enjoy reading her blog. So, imagine my excitement when she asked me to quilt her Ginger Belle made from French General's Rural Jardin fabric! Ginger Belle is a Miss Rosie's Quilt Co. pattern. I just "oooohhhed and ahhhhhed" when the quilt arrived at The QP. It's beautiful. Cathy's piecing is perfection. All of this made me a nervous wreck!!! BUT I think I did GOOD! :-) I'll warn you now, I couldn't stop taking photos of this quilt! Cathy pretty much left the quilting up to me. She mentioned she would like the star blocks to stand out. You know me...that translated to there is going to be feathers somewhere on this quilt! I quilted feathers around the star blocks. That proved to be a little more challenging than I initially thought it would be. Naturally. I've practiced quilting feathers in square spaces, but usually the center is circular or square. This space had a lot of right angles to try in fill in proportionately. Once I figured it out, it was smooth sailing. A little bit of frogging stitches out during that process. On the star block, I stitched in the ditch and continuous curve stitching with a little swirl design. I really wanted the star block area to be the focus, so I kept the the rest of the quiting simple with a continuous curve design. You know that I have to show the back. The backing was a cream flannel. I actually remembered to snap a pic before I started quilting. Kristin took pity on me and wanted to help me with a little frogging. She's going to love this photo!! She mentioned that frogging is awful and she's sticking to her day job! LOL!! Can you tell that I love this quilt??? Just a little. It makes me want to make one exactly like it! Cathy had planned on giving this quilt as a gift, but changed her mind once when she got it back. My heart did cartwheels when I heard that! Today is the first day of Middle School for the girls. They are so excited and a little nervous. It seems like just yesterday was their first day of school. Time flies. Stunning Linda. You have those feathers going around the star perfectly. My daughter helps me frog too sometimes...she doesn't like it either. The quilt is very pretty and your quilting is outstanding. 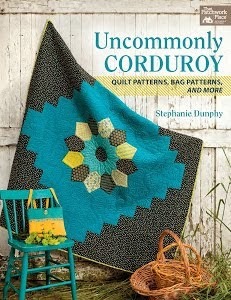 I can imagine how great it made you feel to hear your quilting made her want to keep it. Great job! What a beautiful job you've done on this quilt. The feather quilting makes the stars look as if they are moving. I don't blame her for keeping the quilt....It's gorgeous! WOW!!!! What a beautiful quilt! You really made it a work of art. Beautiful job, and I love how you did the feathers in a square like pattern around the stars, never seen that before. Your feathers look fantastic around the stars! Love how all the quilting looks on the back too. You are awesome! This looks so great - I don't blame her for keeping it. Such a beautiful job! Your feathers really made the stars stand out! I'd take lots of pictures too. The machine or hand quilting really makes the quilt! A beautiful job and perfection with the design. As others have commented, the feathers were a stunning choice! As a piece and applique quilter, I thank heaven for you machine quilting artists who make my quilts come alive. Love the quilting that you did and I can see, she did too. Quilting can make such a difference on a quilt that was just ok, came out stunning. Your quilting really made this quilt come to life. Thanks for doing such a fantastic job! OMG I wouldn't have been able to give that quilt away either, even before you quilted it was beautiful but wow your quilting makes it really special. Do you know what the pattern is?? What a stunning finish to a beautiful quilt-fantastic work! When you mentioned wool, I had to check out Cathys penny wreath-wow but is that a lovely idea-makes me want to have one!! Oh Linda - I'm in awe again over your incredible quilting! You really made this quilt POP! Congratulations on another wonderful job! Oh the girls are growing fast now! I hope they have a great first day of MS! It's stunning - it was great before the quilting but after is just...superb!! Stunning quilting for a gorgeous quilt. Love all of the feathery and swirly goodness!!! That is a beautiful quilt top and you did a wonderful job on it. I love the back as well!! That is a gorgeous quilt and you are right about the piecing. It's beautiful. I really love all the quilting on this one! So perfect! Simply beautiful , both the quilt and your quilting and I am glad she is keeping it too! Gorgeous! The feathers do make the stars pop! I wouldn't want to give the quilt away ... I would keep it! I can see why you would want to keep this quilt. It's beautiful! wanna come teach me how to do that amazing quilting on my longarm?? Stunning! I love all the pictures. I studied the feathers around the star trying to figure out how you did it. It looks really nice! What can I say that hasn't already been said. It is just amazing. This is truly a stunning quilt. 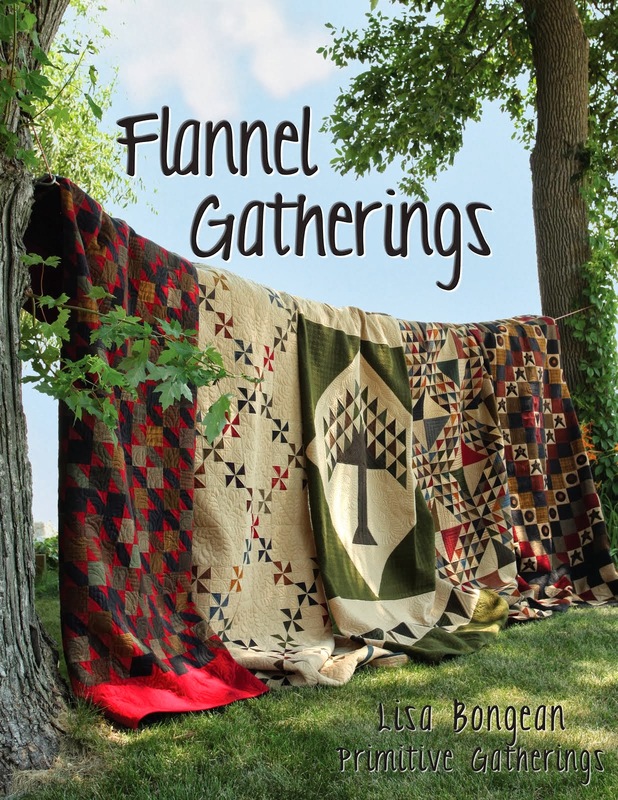 The pattern and fabric go perfectly with each other and your amazing quilting enhances both. Just beautiful. I saw this quilt on Cathy's blog and fell in love with it, your pictures of the quilting make me love it even more. You both did a wonderful job, Congratulations! It's a stunner. I totally understand why you would want to make your own, how did you ever get up the will power to send it back! Wow, she made a beautiful quilt, and you quilted it beautifully! You are so truly amazing. Hope the girls got off to school okay! I have no words....this is beyond stunning...oh my. I don't blame her a bit for keeping it!!! Linda your quilting is sheer perfection! Hi! Greetings from Finland! I LOVE your quilts! Congratulations! I am speechless! You are very good quilter! Nice to find you! Have a nice day! BEAUTIFUL! No wonder you couldn't stop taking pictures! I'm glad to hear the quilt will not be given away. Your quilting is absolutely stunning. The quilting is beautiful! I love this quilt too, and now want to copy it. I love how you made the feathers go around the star blocks. I've never seen that before and it looks wonderful.